Un-retouched photo of installed Solar LED Security Light . ON SALE! Great for walkways, driveways, entryways, barns, gate entrances, oilfield installations, etc. Updated model with 1000 lumens (versus 700) for even more light when motion is detected! Stays on continuously at night at 150 lumens until motion detected, then produces full brightness for 30 seconds. 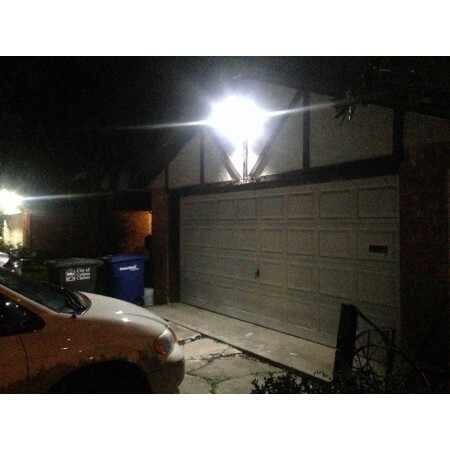 Put light where you need it with this system, including walkways, driveways, entryways, gates, dog-runs, and remote industrial installations. 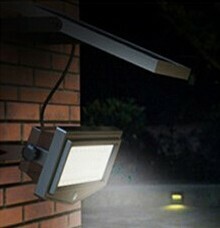 Also helps deter intruders by instantly shining at full brightness when motion is detected. This system can be installed anywhere standard power is not available. Aluminum alloy construction means long life and protection from the elements and rust. 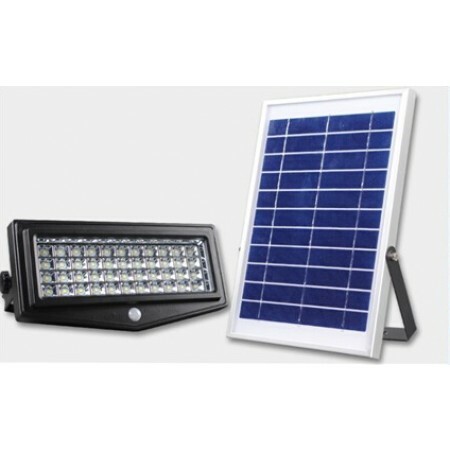 This solar LED light is of much better quality than the cheap plastic units currently on the market. 36 super-bright LEDs deliver powerful, long-lasting light. Powerful LEDs are in a low-power consumption mode (dim) until the integrated motion detector senses motion (PIR- Photo Infrared). Then, the LEDs turn to full brightness. 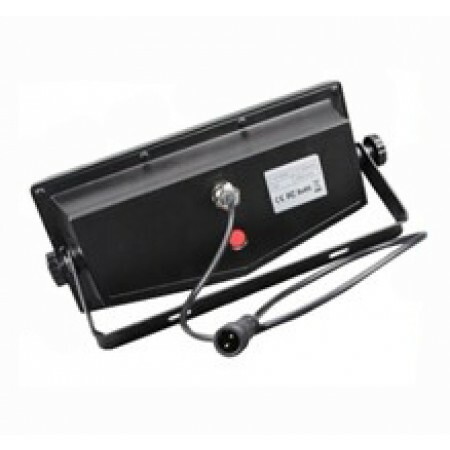 Advanced Lithium-Ion battery provides power to the LEDs with long life and less maintenance. Very easy to install with full instructions and mounting hardware. Free email and phone technical support during office hours.